KitchenAlity is your one-stop shop when you want to remodel the kitchen of your home or condo on Treasure Island, Florida. 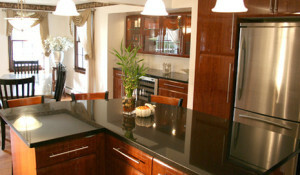 We take an approach to kitchen remodeling that is focused around you, the homeowner, and allows you to splash a touch of your own style and personality into your kitchen. We will work closely with you to create a new kitchen remodel design that takes all your desires into consideration, and then bring it to life with the utmost professionalism. If you’d like to learn more about KitchenAlity and how our team of experts can professionally remodel the kitchen at your home on Treasure Island, FL, please contact us today. A member of our team will be glad to meet with you, right in your kitchen, to discuss all your wants and needs for a new kitchen.